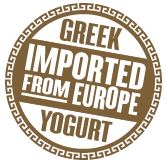 HOW DO YOU SPREAD, DRIZZLE OR DIP YOUR GREEK YOGURT? Share your own unique ideas or just start a conversation! Seriously, making snacks all day can get lonely. NEWS & SAVINGS GO TOGETHER LIKE... WELL, GREEK YOGURT & BETTER FOR YOU SNACKS. Sign up for Rickland Orchards updates and receive an exclusive savings code via email for 10% off your first online order! All fields required. I would like to receive occasional updates on Rickland Orchards products and special offers via email, as long as it’s no more than once a month. No worries! We promise not to sell your personal information. © 2013 ALL RIGHTS RESERVED. RICKLAND ORCHARDS® IS A REGISTERED TRADEMARK OF RICKLAND ORCHARDS, LLC.